WARNING: Spoilers ahead for each of Marvel’s Netflix series — Daredevil, Jessica Jones, Luke Cage, and Iron Fist. All four of Marvel’s small-screen heroes have landed on Netflix, but unanswered questions remain even after the end of Iron Fist. With the group about to take the spotlight in the upcoming eight-episode The Defenders, we’re in desperate need of a P.I. as skilled as the woman behind Alias Investigations to figure out what’s going to happen. Here are the seven biggest loose ends the team-up series will have to tackle. Sigourney Weaver’s villain has been dubbed an “utter badass” by showrunner Marco Ramirez, but what does she want? Who is she looking at in this photo below? Where is she sitting? How does she cross paths with the Defenders? When will she meet them? Where did she get that top? Okay, so that’s more like seven questions, but you get the (iron) gist. Eagle-eyed viewers will remember these three letters from Jessica Jones; they’re stamped on the envelope Trish holds in the season finale. Trish and Jessica investigated the organization after encountering Dr. Kozlov, who Will reached out to when he was injured in a confrontation with Kilgrave. Kozlov, it turned out, works for IGH and provided Will (and other soldiers) with drugs that enhanced his abilities. The nefarious medical organization may also have something to do with Jessica’s powers: It paid for her hospital care after the accident that left her orphaned. But what do those three letters stand for? Fans think it may represent “Inhuman Growth Hormone,” a Weapon X-like product created specifically for the Marvel Cinematic Universe. If so, it’s a potential explanation for not only Jessica’s powers, but also Luke’s and Kilgrave’s… and potentially many more. 3. What’s up with the blood-draining procedure? Aside from the loose IGH thread, the gory facility seen in Daredevil remains unsolved. 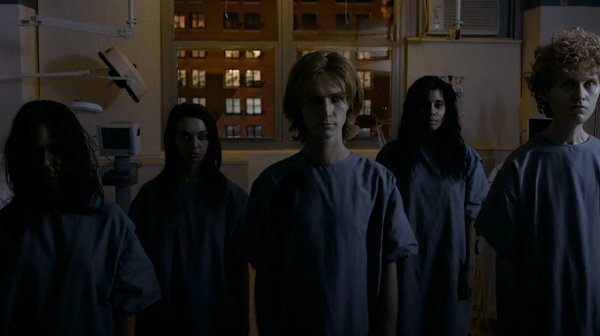 We watched as five zombie-like children in Daredevil returned straight to the gruesome operation immediately after Matt tried to save them, and in Iron Fist, we saw Colleen get taken to the same location to have her blood drained, but what’s it all for? If fan theories are correct, all that blood and incubation (eek) will be for Elektra, who’s been deemed the weapon Black Sky. Of course, she’s still dead and hidden inside a large urn at the end of Daredevil season 2. When will we see her back in action? 4. What does the Hand really want? We know they want power, influence, and as many ninjas as possible — but what else? At the end of Iron Fist, the Hand’s Madame Gao continues to scheme away, and while she’s proved a worthy adversary for both Daredevil and Danny Rand, the Defenders are supposed to team up to face an even more menacing force. Fans have theorized since Gao appeared in Daredevil that she’s a character from the comics called the Crane Mother, who rules over the mystical city of Ku’n-Zi and who has lived for centuries antagonizing the Iron Fist. Gao is certainly very old and very antagonistic, but in Iron Fist, Danny mentions that the monks who saved his life and trained him worked for the Order of the Crane Mother, making this theory a little more complicated. Either way, Gao will likely be involved in The Defenders, and if the series follows the comics’ trajectory, the Hand will be working toward serving a powerful demon. Could that demon be embodied by Alexandra? Could the force simply be the coalition of Hand members planted around New York, from Metro-General to the mayor’s office, as Bakuto mentioned in Iron Fist? 5. Does the Incident matter anymore? So, when The Defenders comes along, will the Avengers and the big-screen Marvel universe have any connection to what these Netflix heroes are doing? What about the rest of Marvel’s TV projects? The studio is now blanketing the TV landscape with series for Runaways and Inhumans, but will the Defenders play into those stories at all? 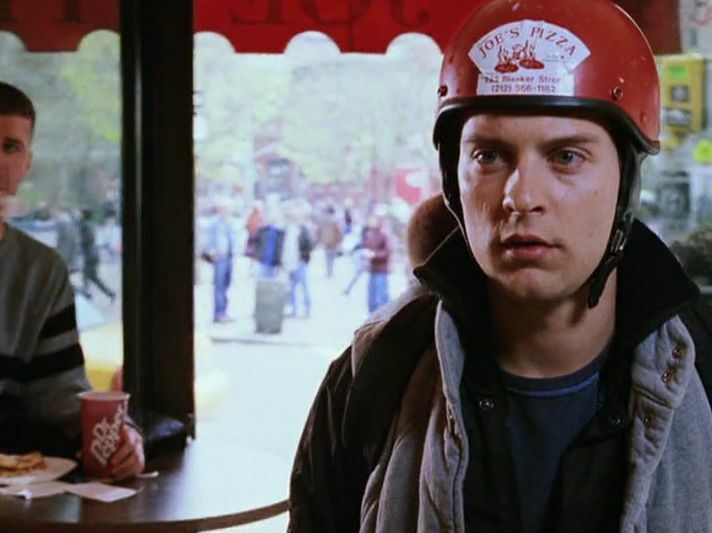 Also, in Iron Fist Claire orders from Joe’s Pizza, the same pizza place for which Tobey Maguire’s Peter Parker worked in Spider-Man 2 — will Tom Holland’s Spider-Man even register on the Defenders’ radars in this new New York City? Are we over-thinking all of this?! 6. Who among the Defenders will meet first, and how? Claire Temple spent much of her screen time on Iron Fist dropping hints about the other Defenders she knows, but never called any of them for help. (Why, Claire, why?!) The four heroes will definitely, finally meet in their series together, but how? 7. Why is there a giant hole in New York? 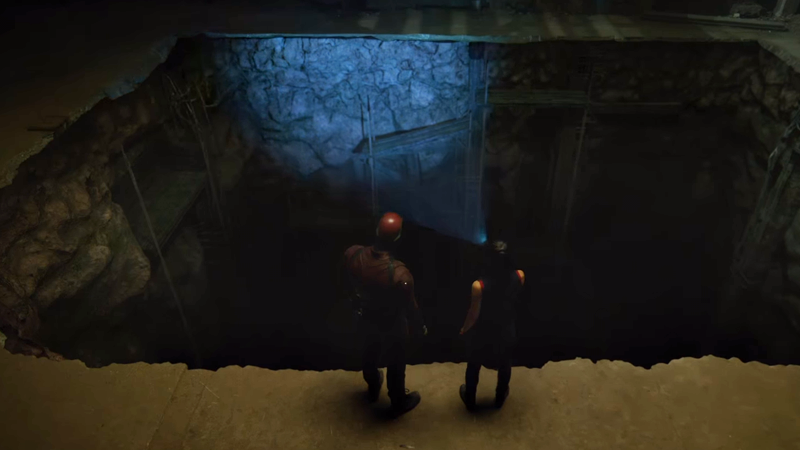 Daredevil season 2 saw Matt and Elektra poking around a site controlled by a mysterious company named Midland Circle. It’s a far-fetched theory, but now that the mystical city of K’un-Lun has disappeared, could the hole protected by members of the Hand be the city’s new location? If not, then what is it for? Please don’t leave this gaping, literal plot hole open, The Defenders. The Defenders hits Netflix this summer.